This year will mark the 7th Valentine's Day I've had with my boyfriend, and while we definitely show each other a little extra love and affection on February 14th (usually with treats, flowers, and a nice dinner), it doesn't seem so important now that we live together and get to make each other feel loved every single day (although I still want those flowers, Mike). I decided this year I would focus on some of my favorite ladies in my life, both friends and family, by sending them some love via hand-crafted cards. I think there is just something really sweet and special about getting unexpected snail mail. These are so cute! 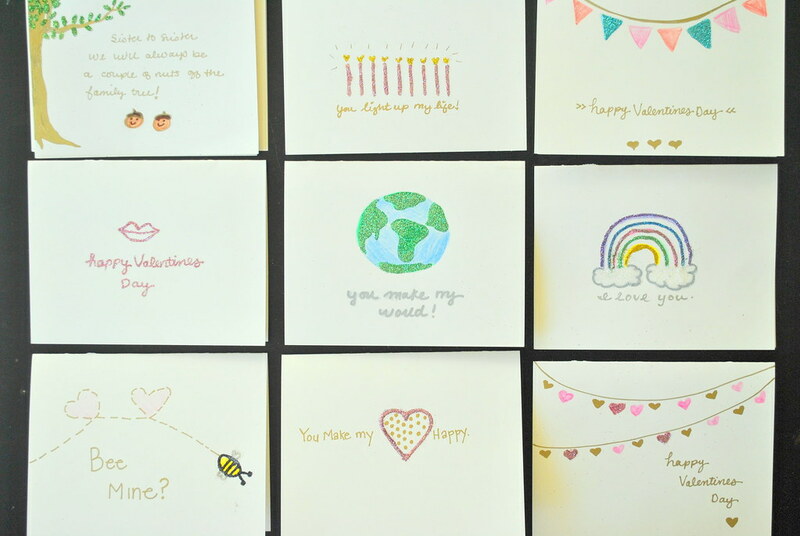 Your friends are lucky to receive such cute cards! These came out so cute! 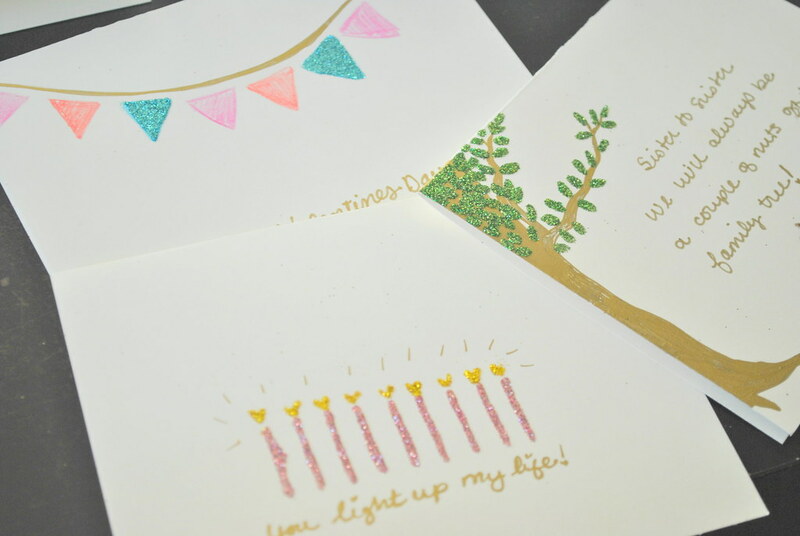 I have the same Martha crafts to make cards with–I love adding the sparkle! Those are fantastic!!! 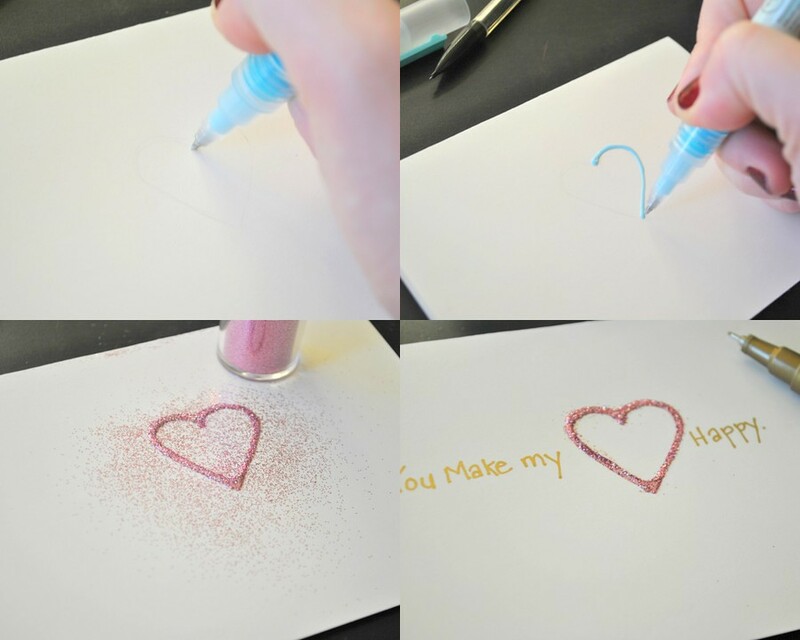 I wish I could do things like this but i'm way too messy. Great job!! Love these... especially the banner in bright colors! these are adorable! i especially like the "bee mine" one! These are SO cute! 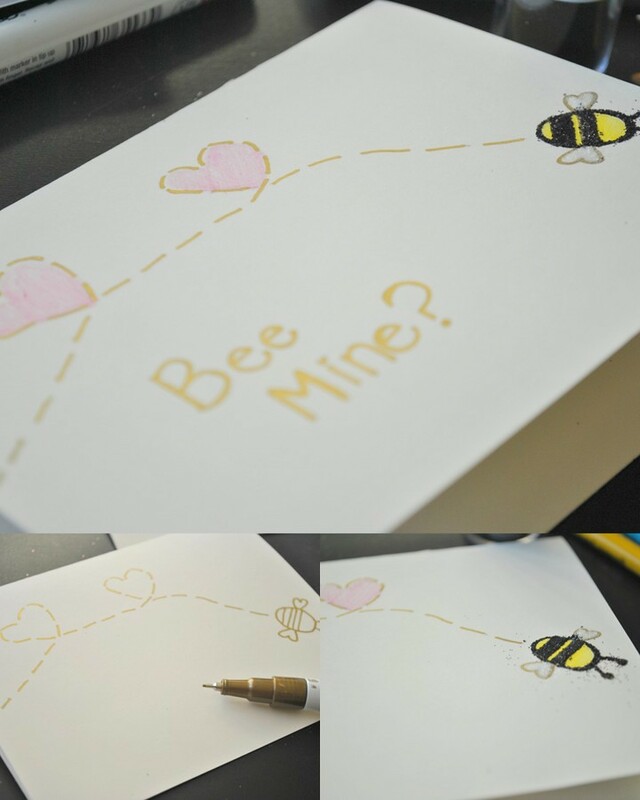 What a cute idea.. 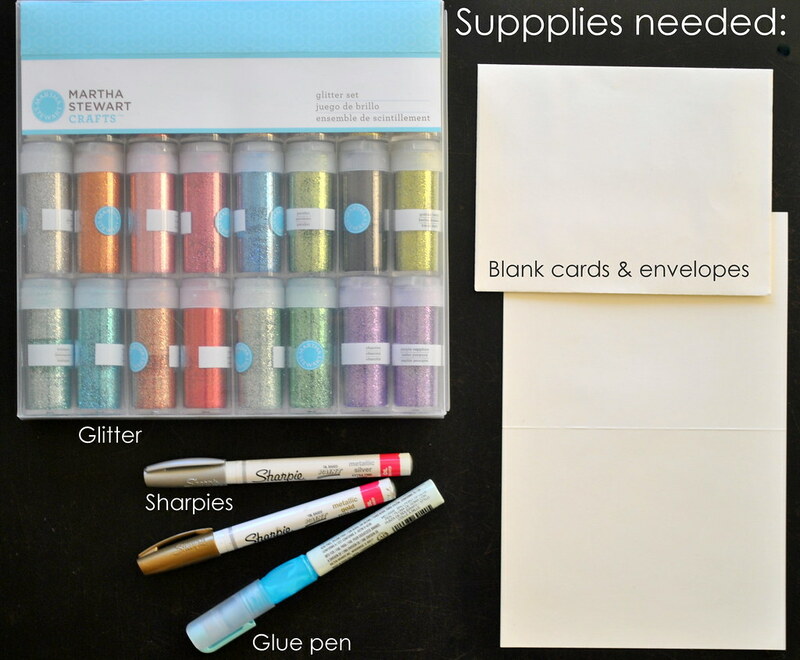 I make all of my own cards - definitely going to try this! I think I meant to comment on this a while ago and just did mentally in my head, lol. But these are seriously fantastic! Like you should sell them! SO cute!